Open Letter to President Trump: Fire Rosenstein Now! 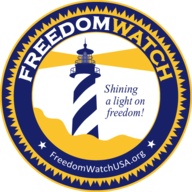 Go to www.FreedomWatchUSA.org to Support Our Citizens Grand Juries. Also Donate and Share!